Diwali, also known as Deepavali, is a significant festival of the Hindus, which encompasses the five day long festivities ranging from DhanTeras to Bhaiya Dooj. The celebration extends to all of India, parts of Nepal and various other parts of the world. The word Deepavali means series of light lamps, due to which Diwali is referred to as the festival of lights. Diwali signifies the victory of light over darkness, portraying the triumph of good over evil. 1. Diwali is celebrated during the Amavasya of the Kartik month of Hindu calendar, and the MahaLaxmi Puja is done during Pradosh Kaal. If the Pradosh Kaal does not coincide with Amavasya within 2 days, then Diwali is celebrated on the second day. This is the most widely followed way to commemorate the divine day. 2. On the other hand, there is a contrary belief that if the Pradosh Kaal does not coincide with Amavasya during two days, then it should be the first day to be chosen for the auspicious occassion of Diwali. 3. If Amavasya does not occur, and Chaturdashi is followed by Pratipada, then Diwali is celebrated on the day of Chaturdashi itself. 4. The optimum time for Mahalakshmi puja is during Pradosh Kaal, when any of the fixed ascendant out of Taurus, Leo, Scorpio, and Aquarius, is rising in the eastern horizon. The Pradosh Kaal prevails for approximately 2 hours and 24 minutes after sunset. If proper rituals are followed, the blessings of Goddess Laxmi are bound to be bestowed with all her divine glory. 5. Puja can also be performed during the Mahanishita kaal, which commences 24 minutes prior to midnight and lasts for about the same period post midnight. This time is dedicated to pay reverence to Maa Kali. Generally, Pandits, Tantriks, Saints, and people who are well aware of the importance of Mahanishita kaal, utilize this time to offer their devotion to Maa Kali. 1. Clean the house and sprinkle the Holy Ganga Jal for the essence of purity before Laxmi Puja. Adorn the house with candles, clay-lamps and Rangoli. 2. Create a puja altar. Spread a red cloth over it and place the idols of Maa Laxmi and Lord Ganesha on it. A picture of both can also be used for the same purpose. Place a Kalash filled with water near the altar. 3. Apply a tilak of haldi and kumkum on Goddess Laxmi and Lord Ganesha. Lit a diya (clay-lamp), and place it with sandalwood paste, rice, turmeric, saffron, abeer, gulaal, etc. and offer your devotion. 4. After Lakshmi Puja, veneration of Goddess Saraswati, Goddess Kali, Lord Vishnu and Lord Kuber is performed according to the rites. 5. The Puja ceremonies should be performed together with family members and friends. 6. Following Lakshmi Puja, reverence can be paid to books, closets, business or other wealth related equipments. 7. After the completion of puja, holi activities like distribution of sweets and prasad, and charity to needy should be done. 1. Prior to bathing, oil massage should be done, as it is presumed that this prevents financial losses. 2. Prior to bathing, oil massage should be done, as it is presumed that this prevents financial losses. 3. Veneration of ancestors should be done to pay homage to your lineage. During Pradosh Kaal, lights should be lit in order to guide the spirits, help them to ascend to heaven, and rest in peace thereafter. 4. Midnight celebration preceding Diwali should be done as it helps in eliminating poverty from the house. Hinduism has a number of legends associated with every festival, and so is the case with Diwali. Two main legends are followed by most of the people, and thus stand out as opposed to others. 1. On the Amavasya of Kartik, Lord Rama returned to his kingdom Ayodhya, after defeating the demon king Ravana, and completing 14 years of his exile. The people of Ayodhya celebrated the homecoming of their beloved prince by lighting their houses with clay-lamps and candles with jollity. 2. According to another legend, the demon king Narakasura stole the revered earrings of Lord Indra’s mother, and abducted 16,000 women. Terrorized by Narakasura’s overgrowing powers and consequent actions, the Devtas along with the saints, pleaded to Lord Vishnu for succour. Incarnated as Lord Krishna, he beheaded the demon on the Chaturdashi of Kartik, reclaimed the earrings, encaged the incarcerated women from the manacles of Narakasura, thus ending the tormenting reign of Narakasura and immortalizing the day as Naraka Chaturdashi. The people celebrated the victory by lightening lamps to express their gaiety on the next day, ergo leading to the celebration of Diwali. 1. Lord Vishnu incarnated himself as Vamana, the dwarf priest, and challenged the venturous Asura Bali, to provide him with enough space to cover 3 strides, to which Bali fervidly agreed. Lord Vamana covered the Earth and Heaven in two steps. For the third step, Bali offered his head and was pushed into the underworld, and was allotted the Patal-loka as his kingdom. 2. During the churning of the ocean (Samudra Manthan), Goddess Lakshmi appeared in the Kshir Sagar, and accepted Lord Vishnu as her consort. Every festival of Hinduism has an underlying astrological significance. It is believed that the positions of planets on festive occasions are fruitful for the mankind. Diwali is a golden opportunity to give a fresh start to anything and everything, ranging from initiation of new tasks to purchasing stuff. 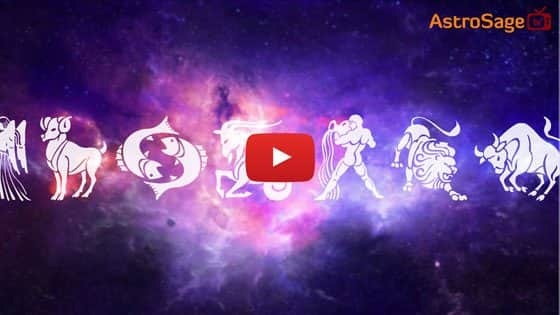 As per the Vedic Astrology, the Sun and the Moon are in conjunction during this period, and are placed in the sun sign Libra, under the rule of Swati Nakshatra. This nakshatra is a feminine constellation linked to Goddess Saraswati, and signifies a harmonious period. Libra represents harmony and balance, and is ruled by the planet Venus which promotes camaraderie, brotherhood, good faith and respect, marking Diwali as a propitious time. Diwali is an auspicious occasion of spiritual as well as social significance. The festival of Diwali represents the triumph of good over evil, light over darkness, knowledge over ignorance and guides us towards the right path of life. We wholeheartedly wish you a happy Diwali, and may Goddess Lakshmi bestow upon you, all her fortunate and prosperous blessings, and you witness a scintillating future ahead for yourself.